Heroes always have a few of the same defining traits, whether they exist in real-life or only in the pages of comic books. They’re brave, they love the truth, they fight to keep innocent people safe, and more often than not they wear a stylish utility belt that keeps all kinds of useful gadgets handy! So if your child is dressing up like his or her favorite superhero, you might want to look for a belt that matches their brightly-colored supersuit. But if they’re more inspired by the black or blue uniform worn by the people who fight real crime on an everyday basis, this Kids Cop Belt will make a fun and fitting accessory. 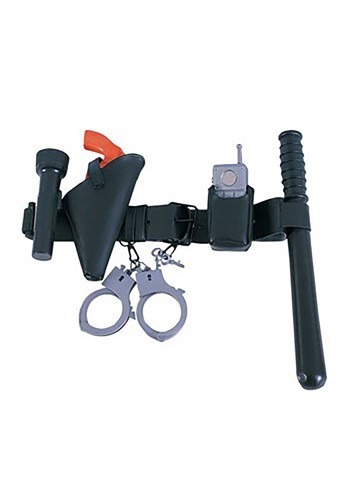 The buckle is adjustable, and it comes with detailed toy versions of a few tools of the trade. There’s even a working flashlight, so all it takes is a couple of AA batteries to be ready for your first patrol!